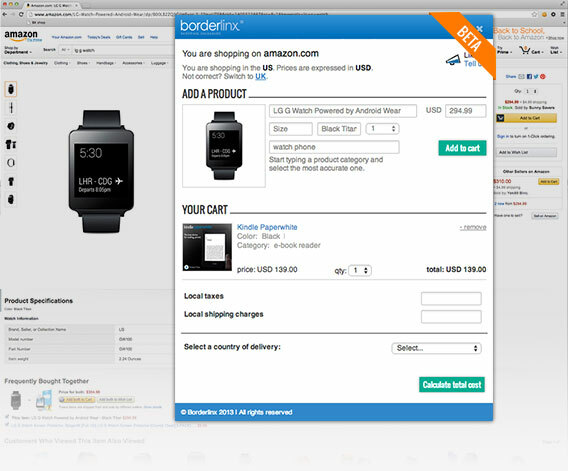 The Borderlinx shopping assistant allows you to shop directly on any supported US or UK merchants you add to your browser, without having to check out on those merchants website. Very easy to add to your browser. No payment restrictions: you can pay with your local credit card or Paypal account. Real time estimation of international shipping tax and duties. It's easy to use with a built-in shopping cart and overlays on the merchant website. Payment & checkout on merchant site handled by our Concierge Service. No registration needed: we automatically create your Borderlinx account if you don't have one. How do I install the Borderlinx Shopping Assistant? Start shopping on the web. When you find a product you like, just click the bookmark. 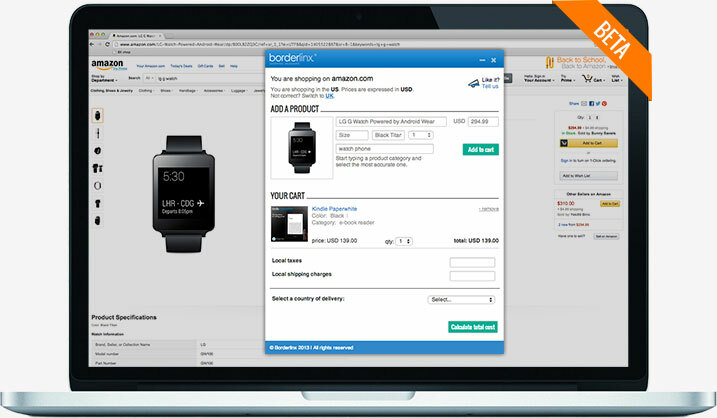 We are very sorry, but Borderlinx Shopping Assistant is not yet supported on mobile devices.